A lazy trail of incense drifting over the pot, the tea steeps in silence, peacefully abiding. This month’s Global Tea Hut offering is a relatively unique creation, a Honey Scent Oolong (Mì Xiāng, 蜜香, also titled “Calm Fragrance”, Yǐ Xiāng Rù Dìng 以香入定). This leaf was crafted from the Four Seasons cultivar (Sì jì chūn, 四季春) which has been intentionally bitten by the leafhopper so highly prized for the creation of Eastern Beauty Oolong (Dōngfāng Měirén, 东方美人茶). The tea was then oxidized a fair amount before rolling and roasting, becoming a style known as Concubine Oolong (Guì Fēi, 貴妃茶), but with a deeper roast. The result is a golden cup of sweet nectar whose aroma carries the mind across fields of blooming flowers. Even the aroma of the warmed leaves, devoid of any water, is indeed an incense into itself. Sipping this tea brings me back to the days when I first discovered the joy of unscented loose leaf tea. The gentleness on the tongue, the incredible aroma, and more crucially the way in which it opens my senses to the world around me, outside of my thoughts. As I hold my cup, I hear the strumming of music on the speakers and the notes are more vibrant. 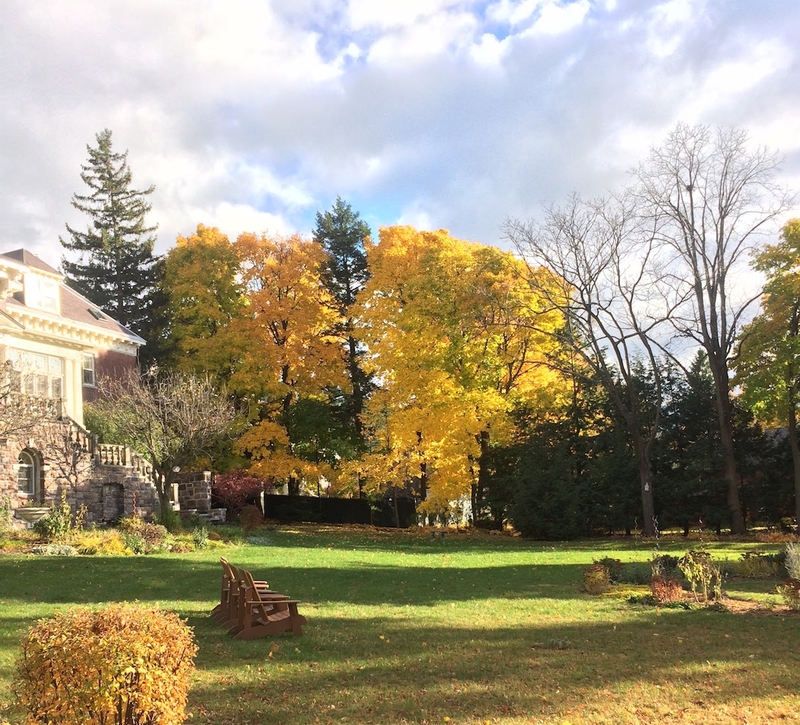 I see the orange and yellow maple leaves outside my window and the blue-gray of the distant sky as though for the first time. The colors each seem to glow. Each sound – a drop of water, a clink of saucer, the softly breathing dog beside me – becomes somehow more vivid and real for this moment. 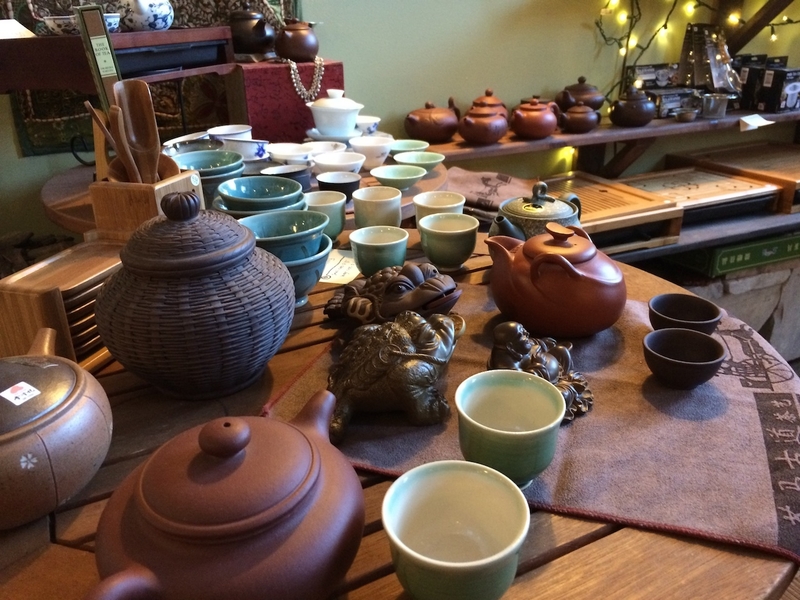 Although it is certainly a luxury, I highly recommend Global Tea Hut to anyone who can afford it and who wishes to explore and learn from the world of tea. Such experiences as this are meant to be shared. I raise my cup to you, fellow tea lover. Experience this moment with me. 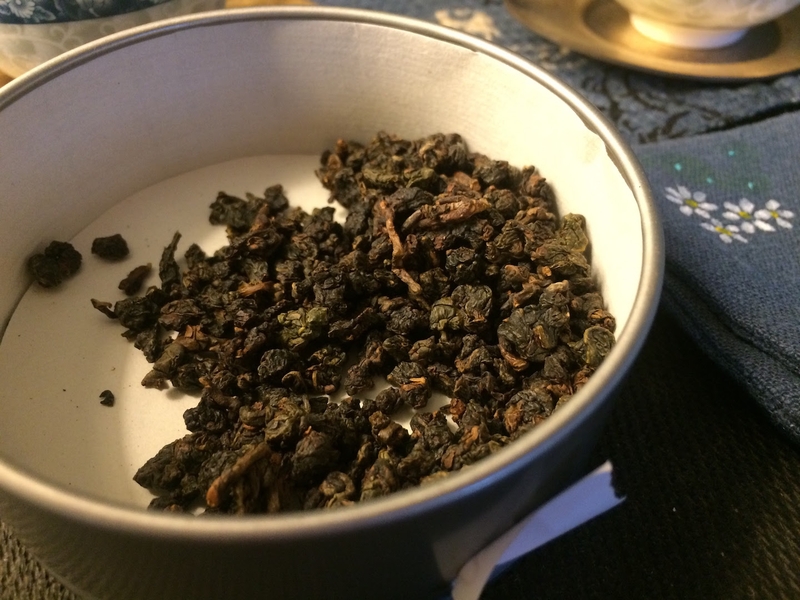 This entry was posted in Tastings and tagged globalteahut, guifei, oolong, taiwan on November 7, 2016 by payton. 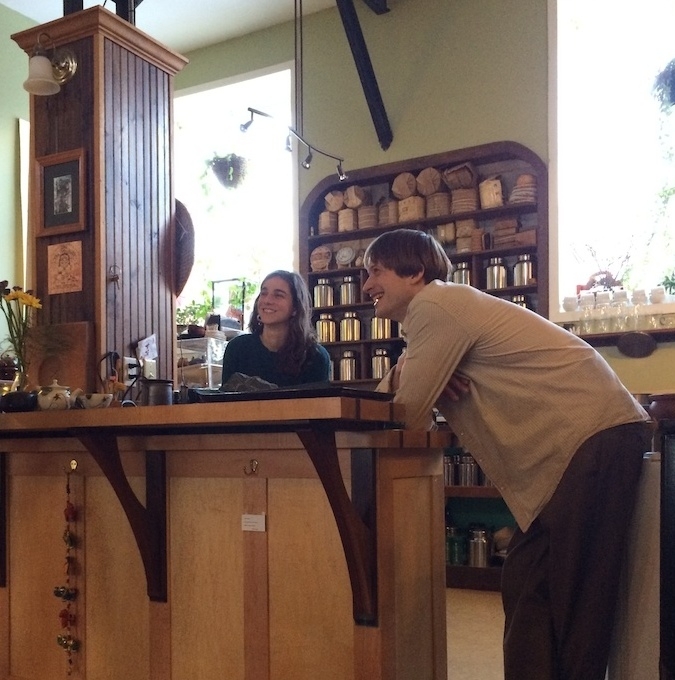 My favorite part about visiting Stone Leaf is the intimacy of the experience; when I step in the door and look across the beautiful wooden counter, I’m immediately greeted by John (the owner and a friend) or another one of the skillful tea masters who work there. I tend to immediately launch into a discussion about the newest teas on the menu or some new tea pot on display. Talking about the tea helps me to settle into the space as I consider what I’d like to drink that day. I can be very indecisive (there’s so many great options! ), but John is very skilled at guiding the conversation toward a specific few teas that I will probably enjoy. I see it happen even with those customers that are brand new to the greater tea world: before they even sit down there’s often already a perfect tea picked out. To be fair, this sort of skill in tea recommendation is what I appreciate from all of my favorite tea shops. What I think sets Stone Leaf apart is the unhurried nature of the exchange. I know first-hand how difficult it can be to run a tea room and try to give each person the attention they deserve in a shop full of customers. Sometimes it works, and sometimes it doesn’t. This may be just the times I happen to visit, but I’ve never felt a need to hurry up when at Stone Leaf. Finally, and not the least impressive: the selection of teas is top-notch. Stone Leaf is always importing the freshest tea nearly as soon as it is harvested. John even roasts some of his own oolongs; there are very few tea shops in the West that can claim that skill. I definitely recommend some house roasted Jin Xuan, if you have the opportunity to visit. The Gui Fei we tasted was gentle and smooth with a really entrancing aroma and a light body. The air around the tea seemed to take on a delicate floral sweetness, like standing in a field of spring blooms: not pungent or overwhelming, but undeniably present and comforting. The consistency of the leaves was a welcome find. Each rolled ball contained around five full leaves all still attached to the stem. The leaves were of small-to-medium size, but I think that the presence of so many complete leaf sets helped to create the smoothness of the tea. After the fifth or sixth infusion the liquor began to take on a more bold, coconut aroma and flavor. I love a tea that presents a whole new side of itself as the infusions progress. A heart-felt thanks to Stone Leaf for bringing us such a fine tea! 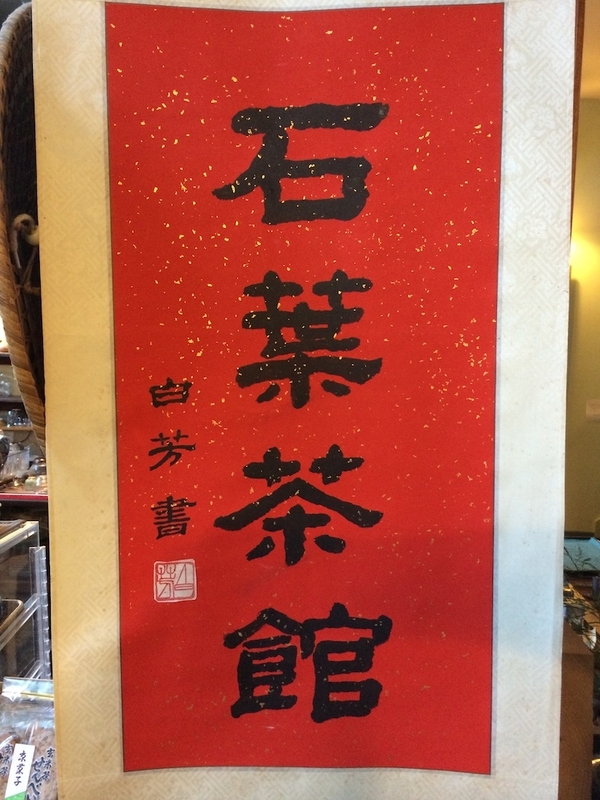 This entry was posted in Tastings, Travel and tagged guifei, oolong, stoneleaf, taiwan, tea, tearooms, vermont on February 25, 2014 by payton.